On the left side of the Grader, you'll see a student roster that shows which students have been assessed, including a quick glance at their scores. This roster can be sorted by mastery level. 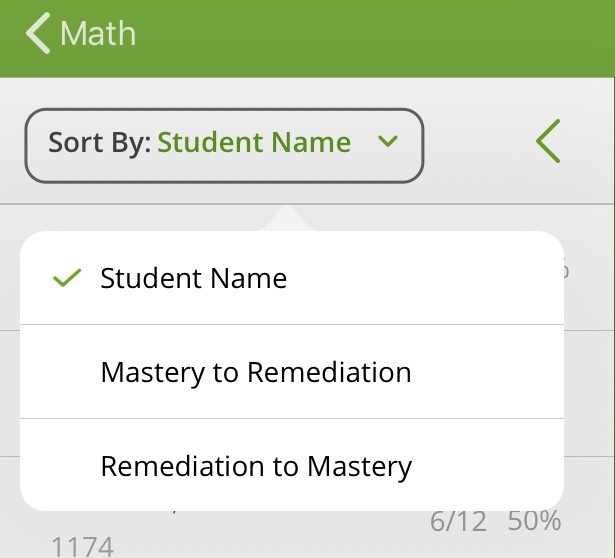 On the left side of the Grader tap Sort By... and select Mastery to Remediation or Remediation to Mastery.